TECHNOFOIL 1050-FC Automatic Platen Hot Foil Stamper & Die Cutting Machine. 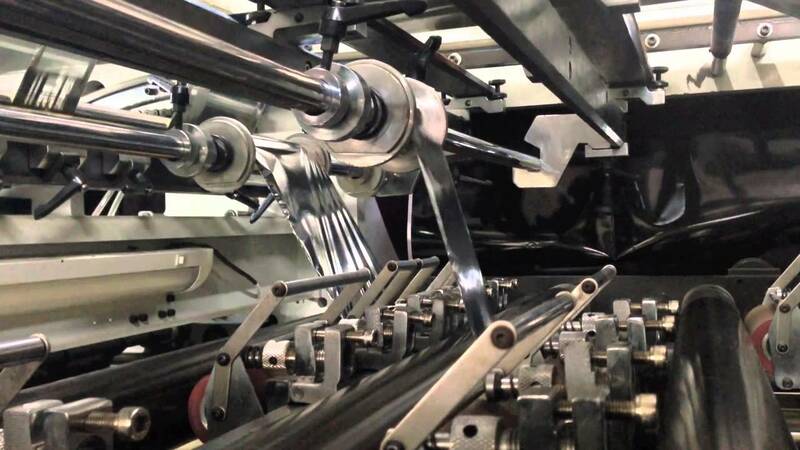 It can run large format die-cutting and stamping with longitudinal and transversal foil pull system. High precision, high speed, easy to operate, quick changeovers, durability and stable performance. Features that make this machine one of the best options available. Automatic feeder with non-stop system, with pallet and cart direct load. 4 lift-up and 4 delivery suckers, designed to handle a wide range of materials from pa-per to corrugated board, guarantee the accuracy, reliability and smoothness of paper feeding. Side-register table with 8 belts. 2 register side guides working with pulling and pushing system. 4 register front lays, independently adjustable. Closed chase with central positioning system device for fast positioning of the die. Cutting plate 5 mm thickness. Pressure control system, can be easily adjusted through touch screen. It has a securi-ty system to avoid any damage in the press. Manual and automatic lubrication system. 7 light weight gripper bars. Turn-over bracket for cutting chase and honeycomb chase. Pneumatic lock and release system for cutting chase and honeycomb plate. Heating system in 12 temperature zones with individual temperature control. Non-stop device with automatic conveyor at delivery. 4 foil rolls in a high precision longitudinal foil feeding system. Air blast foil separation system. 2 foil rolls in a high precision transversal foil feeding system.